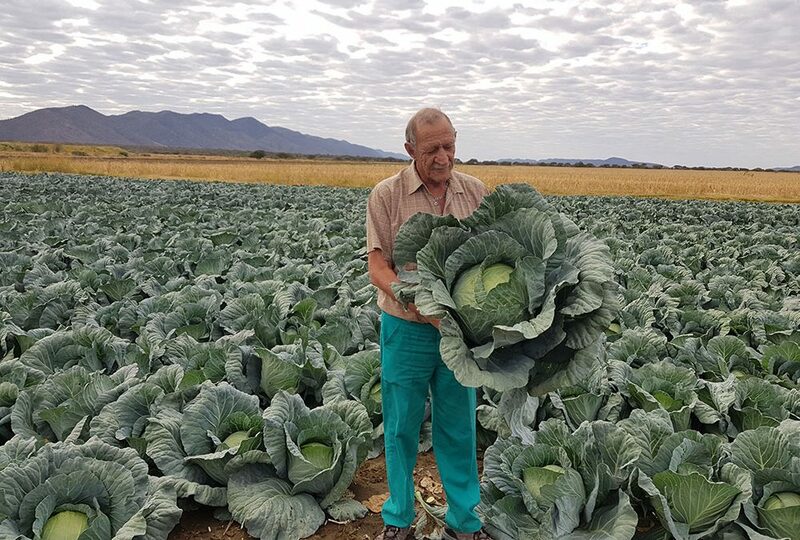 Floris Smit, a farmer at Otavifontein Boerdery in Otavi, Namibia, is very satisfied with the consistent and excellent performance he gets from Sakata’s cabbage varieties, Grandslam and Optima. Floris says that the Grandslam heads are usually the first to be sold out at the local market – mainly because of its big size, excellent taste and attractive colour. Floris can be seen on this photo, holding up the most beautiful of Grandslam heads that any cabbage producer can feel proud of.